To preface this, these are the first and only gloves I've used since I started riding back in 08. I have never been down in them and only cleaned them using lysol. They have about 20k miles on them, don't know what the typical lifespan of gloves are but I'm sure someone on here does. It wasn't until recently that I noticed the deterioration of them. The clutch hand is significantly worse than the throttle but there is a seam tear on the right hand glove. I'll let you draw your own conclusions but I'm in the market to have them replaced at the moment. 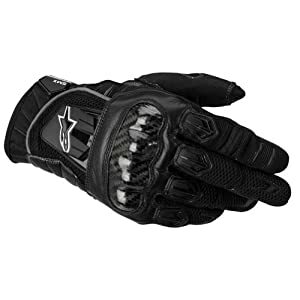 Ask 600killer and DC-MOTO, they are the worst and harshest on gloves!